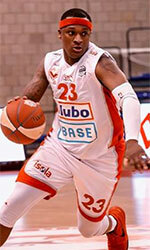 Al Sharjah (D1) added to their roster 24-year old American guard Shane Rector (188-82kg-94, college: Utah State). He played last season at Uhud in Saudi Arabian SBL league. 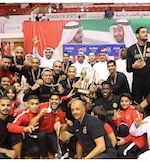 He helped them to win the league title despite they ended the regular season at the second place. A very spectacular season in his career as he was selected Asia-Basket.com All-Saudi Arabian SBL Import Player of the Year, Guard of the Year and voted to 1st Team. The last summer Rector played at Albany Patroons in U.S. semi-pro league NAPB. He contributed to his team making it to the final after they ended regular season as second best team. Rector graduated from Utah State in 2017 and it will be his second season as a professional player.